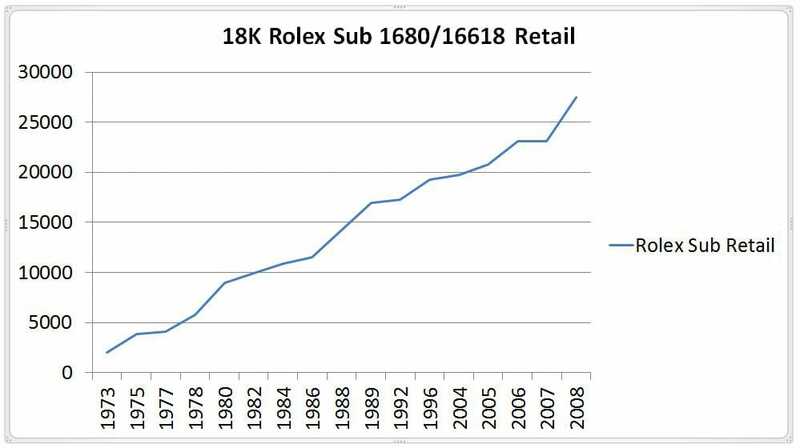 The Rolex Submariner, model number 16618, is an excellent collector’s piece for anyone interested in Rolex watches. 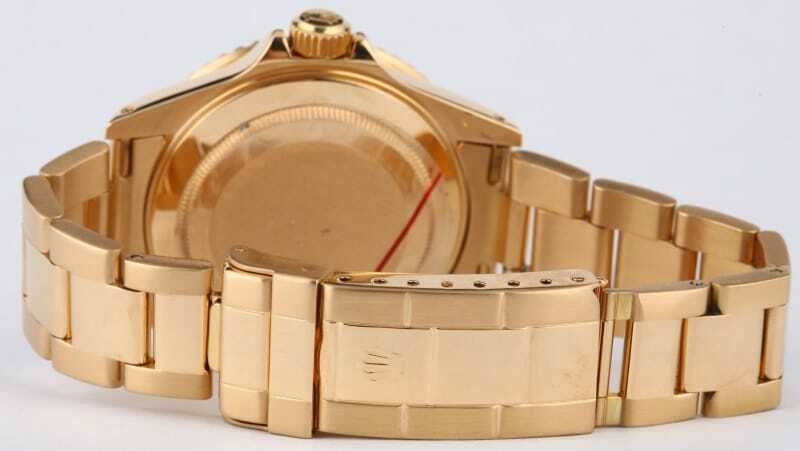 Over the years this watch has seen a steady increase in value. 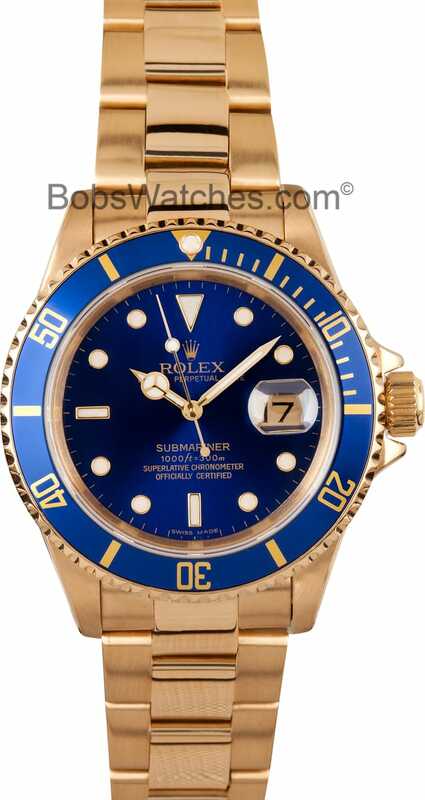 The Rolex Submariner 16618LB is powered by a perpetual, mechanical, self-winding caliber 3135 jewel movement. The ease and convenience of a perpetual movement is unparalleled, as any type of movement, including daily wear, will keep the watch in motion. The movement is also certified by the independent non-profit group the Swiss Official Chronometer Testing Institute (COSC). The COSC puts the movement through a rigorous 15 day test, exposing it to various elements and conditions to ensure precision and the highest level of timepiece craftsmanship. 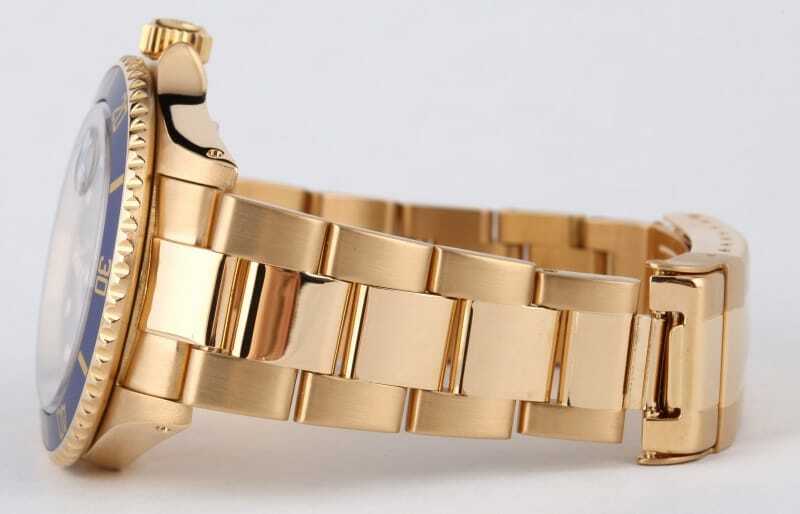 Its seal of approval is engraved on each of Rolex’s Perpetual movement timepieces. The Submariner features the powerfully protective Oyster case. This 40 mm case is formed from corrosion resistant materials, including 18k gold, and offers exceptional scratch resistance. Keeping the design and construction centered at the company, Rolex operates its own foundry. Using the purest materials and advanced technology, Rolex is able to craft all aspects of their timepieces, including the precious metals surrounding them, with the greatest precision and devotion. The Oyster case also guarantees water resistance up to 300 meters (100 feet). Originally designed with deep-sea divers in mind, the Rolex Submariner is not only an aesthetically pleasing accessory, but also a tool for exploring the depths. 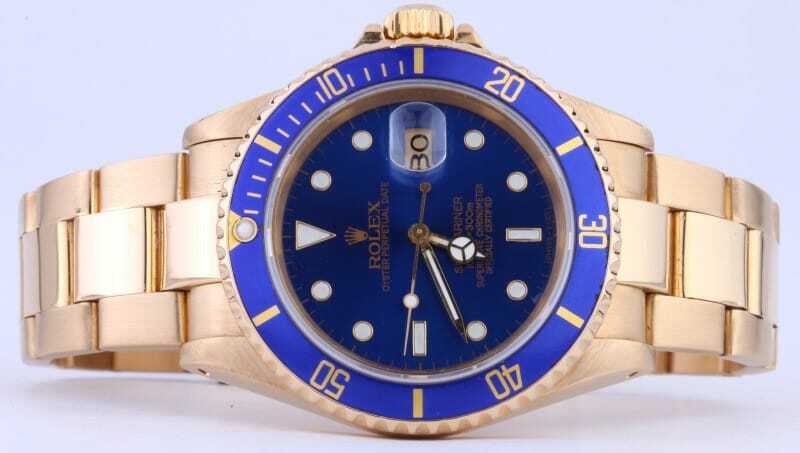 The central visual element of the Submariner 16618LB is its blue dial. Again appealing to adventurers, the blue dial is specially designed with a Chromalight display, which lasts up to eight hours. This ensures visibility at all times, even in the dark waters of the ocean. It maintains its brightness by recharging automatically when exposed to natural light. Thus, it is always ready when the wearer is. The Oyster case and blue dial are topped with a scratch-resistant sapphire crystal, complete with a Cyclops lens over the date for better legibility. 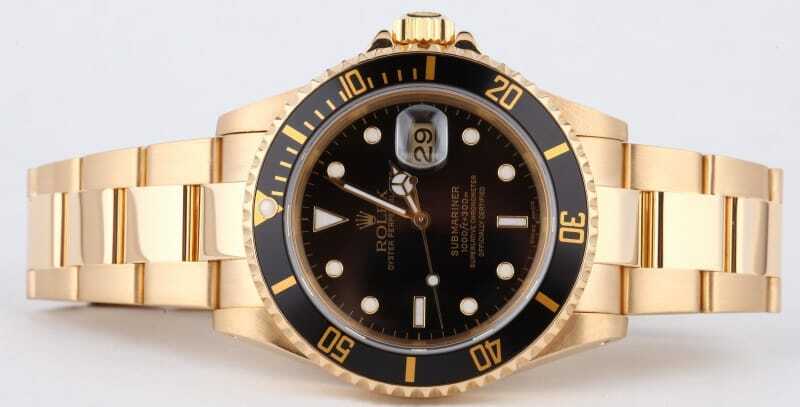 The Submariner’s bezel is another important visual element. The 18K gold blue bezel has 60-minute graduations that allow divers to accurately monitor diving time and decompression stops. Because it is unidirectional, the diver does not risk spending too long underwater. The ridged edges also allow for easy grip underwater, allowing a diver to fully utilize this special feature. The watch is completed with a Rolex Oyster bracelet with folding Oysterlock. 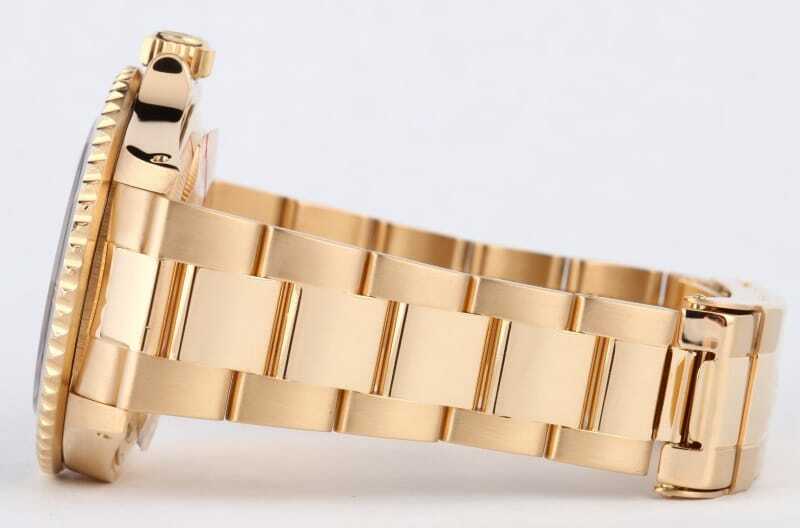 The bracelet is completed with a Rolex Glidelock extension system clasp. Originally introduce in the 1930s, the Oyster bracelet is made from 18k gold, matching that on the Oyster case. The bracelet is designed for durability and comfort. The clasp is specially designed to prevent accidental opening, as well as allowing for the addition of extra length to easily expand the bracelet over a diving suit.